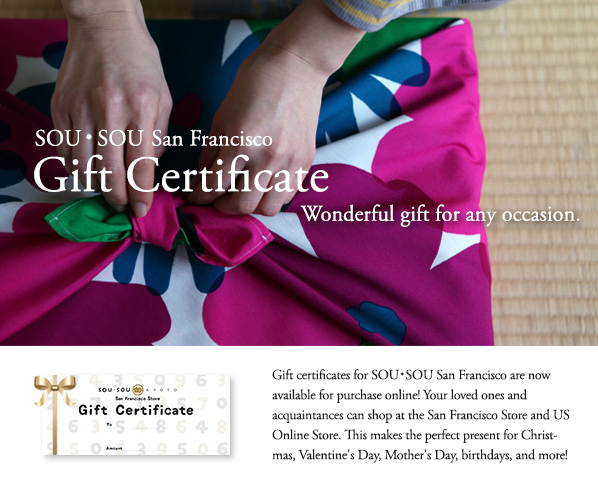 Gift certificates for SOU•SOU San Francisco are now available for purchase online! Your loved one and acquaintances can now shop at the San Francisco Store and US Online Store. This makes the perfect present for Christmas, Valentine’s Day, birthdays, and more! 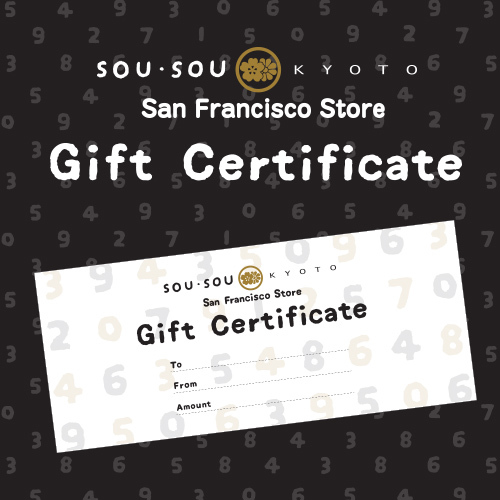 Send a PDF Gift Certificate by email! *Physical Gift Cards available soon!